The worldwide usage of and increasing citations for ORYZA2000 has established it as a robust and reliable ecophysiological model for predicting the growth and yield of rice in an irrigated lowland ecosystem. 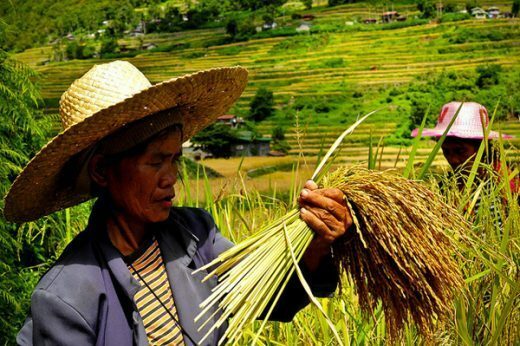 Because of its focus on irrigated lowlands, its computation ability is limited in the representation of the effects of the highly dynamic environments of upland, rainfed, and aerobic ecosystems on rice growth and yield. Additional modules and routines to quantify daily variations in soil temperature, carbon, nitrogen, and environmental stresses were then developed and integrated into ORYZA2000 to capture their effects on primary production, assimilate allocation, root growth, and water and nitrogen uptake. The newest version has been renamed “ORYZA version 3 (v3)”. Case studies have shown that the root mean square errors (RMSE) between simulated and measured values for total biomass and yields ranged from 11.2% to 16.6% across experiments in non-drought and drought and/or nitrogen-deficient environments. ORYZA (v3) showed a significant reduction of the RMSE by at least 20%, thereby improving the model’s capability to represent values measured under extreme conditions. It has also been significantly improved in representing the dynamics of soil water and crop leaf nitrogen contents. With an enhanced capability to simulate rice growth and development and predict yield in non-stressed, water-stressed and nitrogen-stressed environments, ORYZA (v3) is a reliable successor of ORYZA2000.